There are many reasons a home owner or business considers a renovation of their current abode or location. Primarily to give a place a new face lift and bring in a more contemporary feel. However in an age of increasing energy costs for electricity and gas as well as rising prices for water usage, there is often the need to alleviate the financial burden even if it means expending a sum of money to achieve a future saving in the medium term. We are of the belief that for too long now homes have been built to stone age requirements. Modern construction abilities enable us to design over and above the more traditional bricks and mortar and hole in the wall building design. 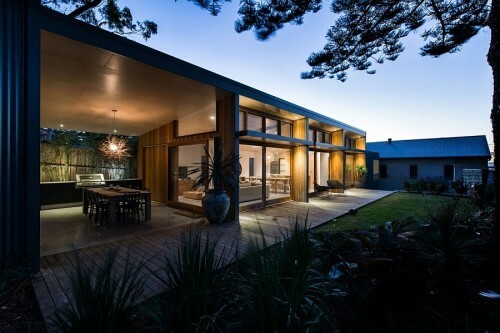 Through the use of eco materials, secure glass façades, roof lights and more compact insulation techniques, you can not only reclaim space but open your current land to new usage. There are a range of government subsidies and specialist eco mortgages that you can take advantage of to enable your home to decrease its carbon footprint and reduce carbon emissions by as much as 80% on older buildings. Not that many people worry about this topic, it basically translates as discounts for people who wish to renovate their homes to eco standards, add a new design aspect and save money on bills in the future. Natural light is an issue in old buildings, unless of course you are converting a church which would be unique. Most people do not have that luxury. Due to structural integrity you will need an architect to review your house plans and suggest what amount of natural light changes you can make. 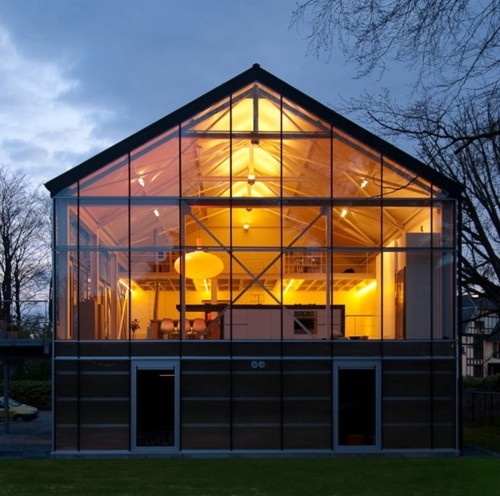 It is possible to completely renovate and expand window fittings and replace with glass façades which allow more light. Consider that the majority of the time in the UK lights are switched on at 7am when the sun is already up and on again after 6pm even when natural daylight is more than adequate to see outside. 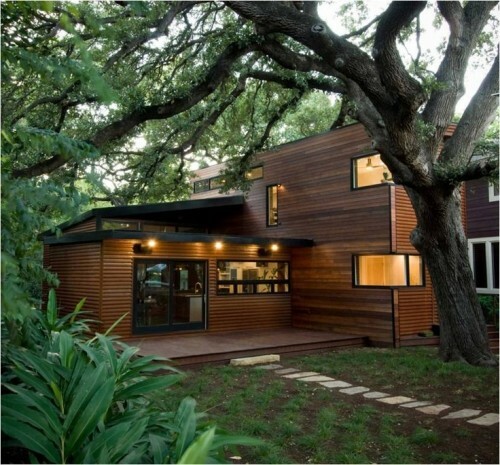 A tremendous amount of money can be saved by widening and lengthening window exteriors. Any type of renovation of this manner will of course be dependent upon available budget, but it is entirely conceivable to remove a whole exterior wall from the rear of a ground floor and replace with glass, allowing light to filter through. On first storey buildings, you may wish to consider the removal of loft space and insert a roof light or skylight to again maximise on natural light efficiency, using only electrical powered lighting when truly necessary. Utilising an elongated roof light will allow 40% more light to filter into that room, even more so when considering glass façades. 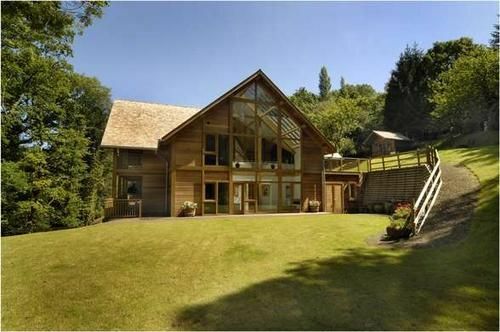 Allowing natural light into a home has the dual effect of also enabling the sun’s rays to warm an internal environment, negating the effects of putting on that central heating on too early in the year. With the use of ceiling fans to keep warm heat lower where it needs to be, further energy savings can be made. As we are concerned with electrical usage, one of the main instigators of bad energy use and an increase in carbon emissions is a fault or inadequate central heating system, doubly so if not using environmentally friendly wood fuels via your own biomass boiler. There are automated systems today through use of temperature monitors and computer software which will turn radiators on and off and ensure a moderate temperature around the house and even operate as a timer to ensure a house is adequately warmed or cooled by your return through air conditioning or heating. These computerised systems are proven to reduce energy bills even further. When painting the interior there now exists a product termed low VOC paint, the definition of which is low Volatile organic compound. If you have ever walked into a room that has been recently painted you will notice noxious smells. This is the release of unhealthy compounds into the atmosphere often carbon emitting. While the smell dissipates, the slow process of release can continue for several years. Low VOC paint cancels out this process using lower volumes of polluting chemicals while at the same time coming in a wide range of fantastic colours to suit interior design. It may seem a little over the top and will be more a personal choice than anything, but your carpets and rugs may also be releasing those VOC carbon gases into the air. Check for the Carpet and Rug Institute’s Green Label to ensure lower VOC emissions or consider bamboo, cork or reclaimed wood. Though there are properties within stone flooring which will work well with underfloor heating and keep the room cool in the summer. These are all options which you can discuss with an architect, builder or interior designer. Not everyone can afford a full renovation even though the benefits pay off. There are cheaper alternatives when it comes to eco refurbishment. this area primarily deals with external and interior insulation which will bring down your energy bills by up to half if all are instigated. Which, in an age where 25% of income goes on simply heating a home should be welcome, though there are pros and cons. Although these projects are best undertaken when you are considering an existing refurbishment which includes re-plastering or re-rendering you can effectively employ a builder to do so at any time with minimal disruption to the household. One in four homes have a low U value wall rating due to being a whole component of stone wall exterior with no cavity wall. Most pre 1920 builds. After this date, cavity walls were introduced to reduce heat transfer. There are two ways which are cheaper than whole building renovation but still come at cost. Depending on heat transfer savings and amount of work being carried out, while taking into consideration your current energy bills, it could take five to fifteen years to pay off any work when set against the energy savings. That said if home improvement is to proceed regardless of any concern to carbon emissions, and wholly decorative, ensuring you save hundreds on electricity bills each year going forward is an intelligent investment. Exterior wall insulation is the method of adding eco materials which can deter several processes which plague old buildings. Damp, the repairing of gaps and cracks and making good the exterior of the wall through protection and will not reduce the floor area of your internal space. The after effect is a reduction in draughts and further containment of air, ensuring less heat transfer which save up to 40% on your energy bills. With interior wall insulation you are most likely going to lose up to 10cms in floor space on each wall and any skirting boards and door frames will need removing and refitted. 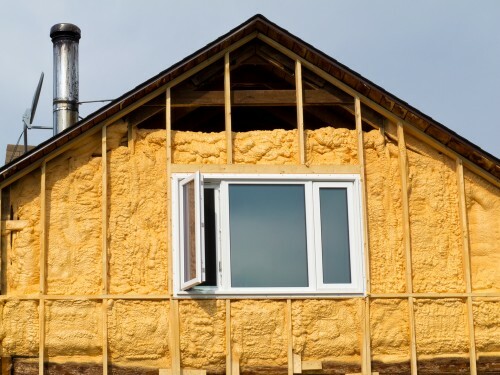 Generally using rigid insulation boards or a stud wall, heat transfer is lessened considerably on stone walls but you need to assess whether external or interior insulation is best for you. The savings are there to be made and generally cheaper than wholesale changes to building wall structure. If your loft has already been insulated, it can still be made thicker to reduce heat loss. Loft insulation tends to be concerned with lining the bases under the floor boards and under the roof tiles with mineral wool insulation, foil insulation or blown insulation and can be undertaken as a DIY project and put in place by certified installers. Whichever material you use, you are generally looking at a saving of around £40 to £140 on energy bills and a claw back on initial expenditure in a loft insulation investment within a few years. The government has its international and European targets to reach which means there is a whole lot of funding available to home owners and business to aid in reducing the country’s carbon footprint and carbon emissions. In fact anything eco and environmentally friendly which can be adapted for use within your property usually involves a form of financial subsidisation by the government or local authority in which you reside or have a business. Alongside the Landlord’s Energy Saving Allowance, lower business rates for eco investments and the ability to claw back money from the national grid should you install solar panels, you can also take advantage of the UK government’s Green Deal for subsidised refurbishment and renovations. Though you shouldn’t think of it as a free service, it is the next best thing to being free. 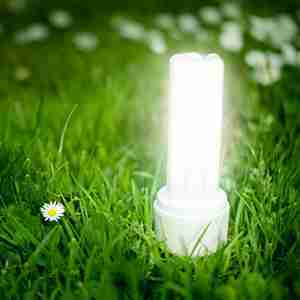 The government’s Green Deal is a £1.3 billion long term ten year project offering home owners and business upgrades to their homes from useless energy depleting abodes to eco homes that save energy at every button press and knob turn. There are currently over forty separate eco upgrades you can make to your home where a third party will replace or upgrade everything from boilers to insulation and windows to solar panels, heat pumps and water efficient fittings. Anything eco can be undertaken for free*. Note the asterix. The proof is in the pudding and any builder’s payment is taken from your future energy bills. So while you will have the work completed, the only downside is that you will see very little change in your energy bills. That said, they do allow you to enjoy some of the savings, depending on the project and Golden Rule viability, you will on average save 10% on energy bills after installation with 30% of the future savings going to the builder. While your bills do change, the previous billing period is kept constant throughout the term. However once the repayment term has been completed, you will enjoy the full effects of the investment and waiting period. Now before you change your mind about renovation or refurbishment, we understand very few people care about their home’s carbon footprint. Which is why you should always concentrate on the design of your refurbishment works, renovation or new extension and discussing all possibilities with an architect or builder to factor in all the possibilities. After all, if you are going to make wholesale changes to a property or build anew, why not benefit from the savings through the use of eco materials or eco accessories? That’s the part we know you understand.